Hollywood Studios was the third park to open at Walt Disney World. 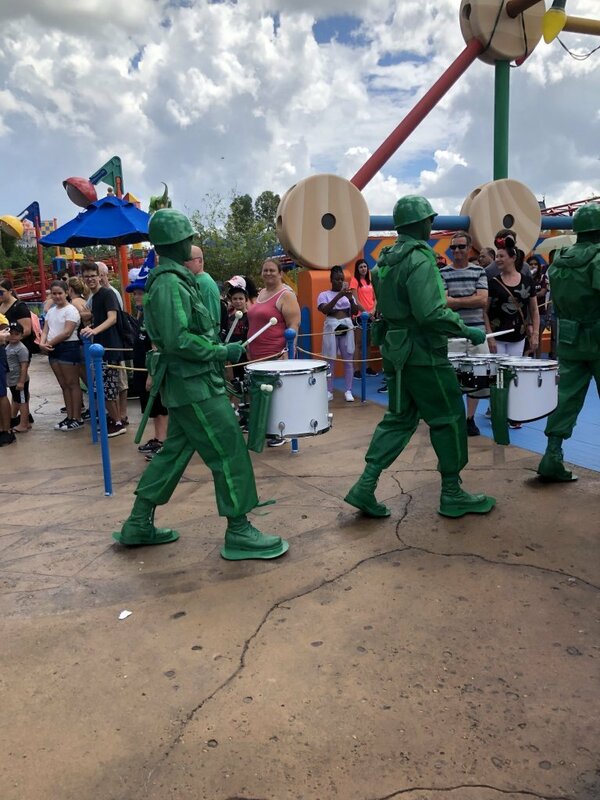 Hollywood Studios is undergoing massive change and our guide brings you right up to date with all the latest changes including Toy Story Land. 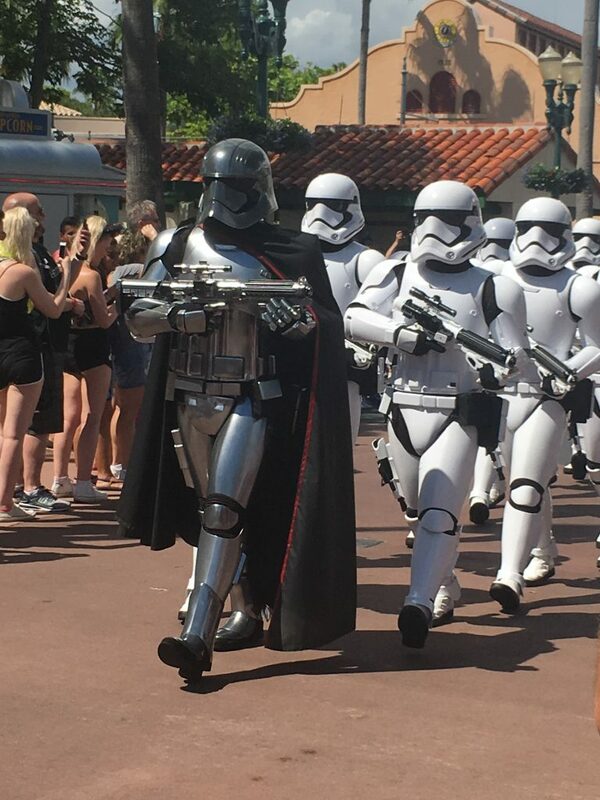 We have updated our Guide to Hollywood Studios with all the latest information for 2019 including the opening of Star Wars: Galaxy Edge. 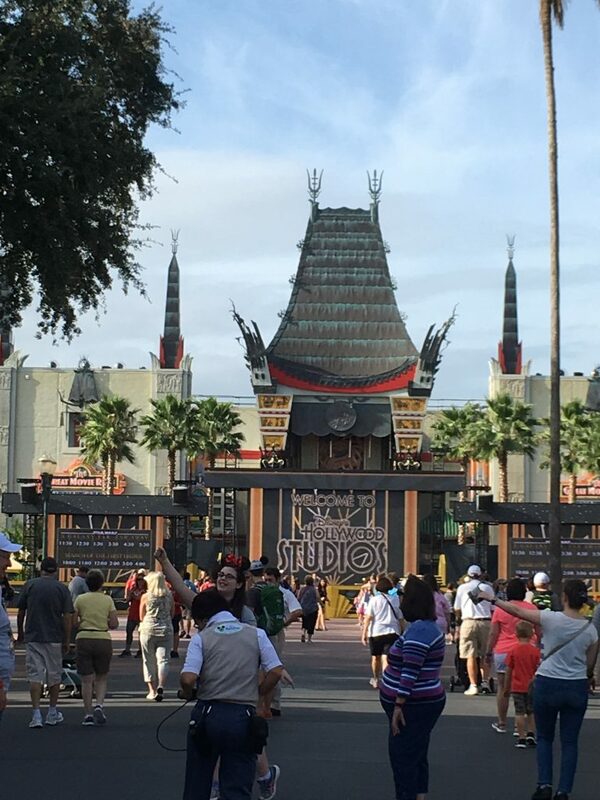 Are you after specific information in our Guide to Hollywood Studios? Our handy jumps will lead you straight to key information. Hollywood Studios The Basics including the history of Hollywood Studios. 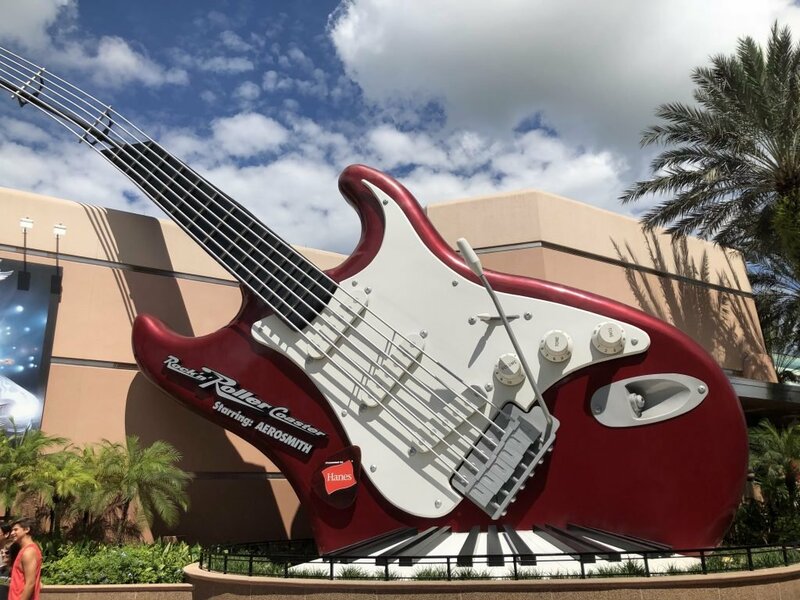 Big Changes to Hollywood Studios in 2019 this year will be the 30th anniversary of the park and there are going to be a host of new attractions opening. Find out more! 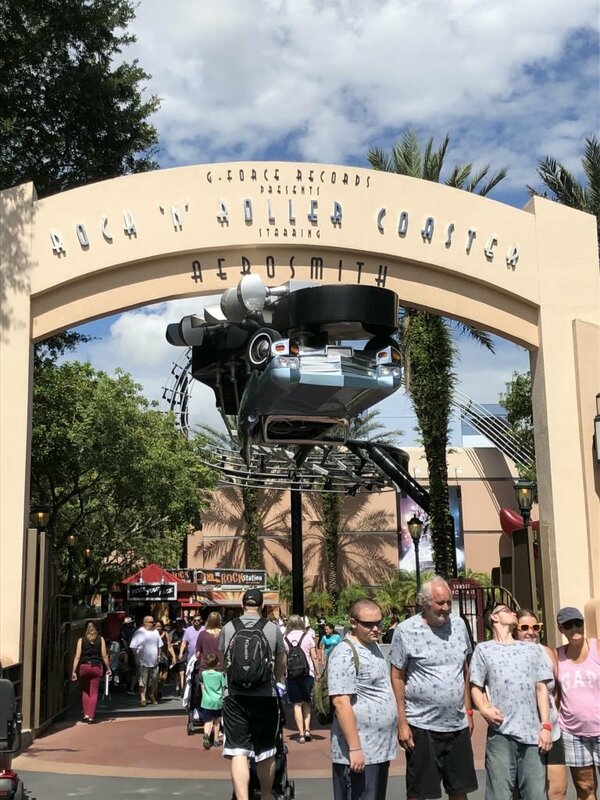 Planning your Visit to Hollywood Studios all the essential information to plan a great vacation including Fastpass, Rider Switch, the Single Rider Line and a selection of Hollywood Studios hints & tips. 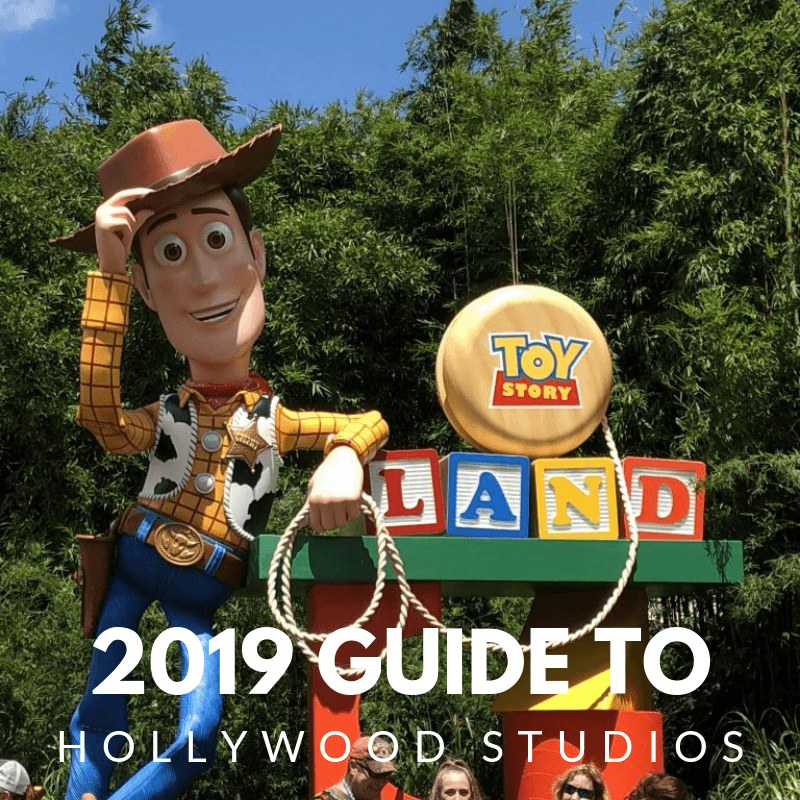 Current Hollywood Studios Attractions we have brought our guide right up to date with all the latest from Toy Story Land. We have details of what you will find in each of the lands and the other park entertainment offerings including the fantastic evening shows. Coming To Hollywood Studios all the news and rumours and what we can expect in the coming years. Dedicated to Show Business the park opened on the 1 May 1989. The theme park was launched by Disney in response to Universal Studios opening in Orlando. The park opened in advance of Universal which did not open its doors until 1990. Opening day attractions were the Great Movie Ride, the Backstage Studio Tour, Magic of Disney Animation and the Monster Sound Show. Later in the summer, the Indiana Jones stunt show opened. Only the stunt show from the opening year is still open. When the park opened, it initially included a working studio. The studio included 3 sound stages and shot many productions for The Disney Channel including The All-New Mickey Mouse Club featuring a young Britney Spears & Justin Timberlake among others. At one point the studio was the home of Disney Animation. Animation hits produced at Hollywood Studios included Mulan, Lilo & Stitch & Brother Bear. Sadly the park no longer consists of a working studio with both the sound stages and animation studio now closed. Previously the park’s icons have been the Earful Tower & the Sorcerer’s hat, but now the park is without an official icon. Until 2008 the park was officially known as Disney-MGM Studios. The relationship between Disney & MGM was not always comfortable & Disney was contractually prohibited from using the name in certain markets. When unable to use the name The Disney Studios was commonly used. Hollywood Studios became the official name of the park on January 7, 2008. 10.8 Million guests visited the park in 2015 making it the eighth-most-visited theme park in the world. It is anticipated following the opening of new attarctions in 2019 attendances will rise signifcantly. Like all theme parks at Walt Disney World, Hollywood Studios has plenty of interesting statistics and facts. For example, did you know that the park’s original layout featured a large Hidden Mickey which can only be seen on aerial photographs of the park? 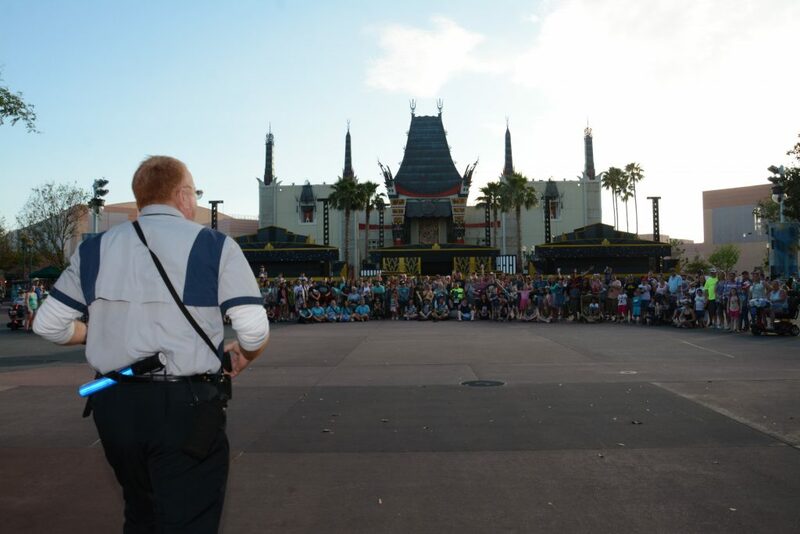 Click the link if you want to see our favorite Hollywood Studios Facts. Before discussing the park further we should highlight that Hollywood Studios is currently undergoing massive change. Several attractions have closed with exciting new expansions announced. The most exciting changes are Toy Story Land which opened in June 2018 & Star Wars: Galaxy’s Edge opening late fall 2019. Lightning McQueen’s Racing Academy is scheduled to open in Spring 2019 at Hollywood Studios. Guests will get face to face with Lightning McQueen & learn from his years of experience on the track. 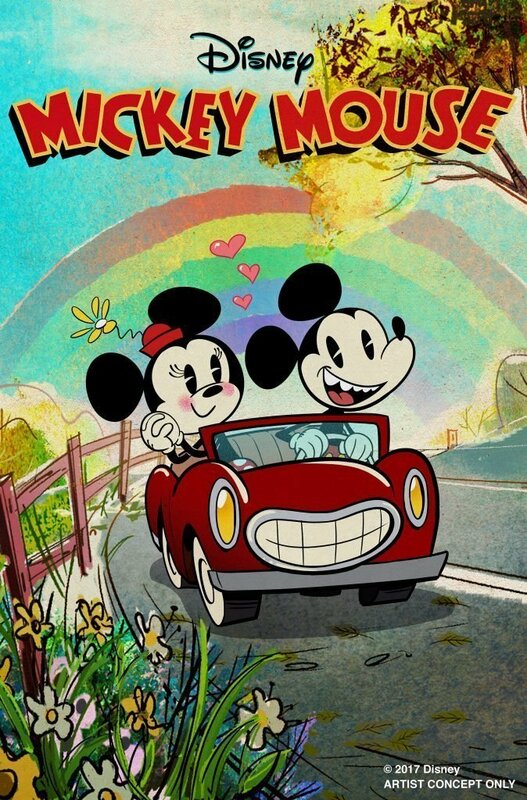 Mickey and Minnie’s Runaway Railway will make guests part of a Mickey Mouse short. Disney is promising new technology for the attraction which will offer a 3D experience without the need for glasses. The attraction opens in the Chinese Theatre in Fall. Wonderful World of Animation is a new nighttime experience opening in May. This new show will be part of the park’s 30th Anniversary celebration. State of the art projections will take guests through a tour of 90 years of Disney Animation. Celebrate with the Incredibles at Pixar Place opened in January. Pixar Place has become somewhat redundant since the opening of Toy Story Land and this temporary transformation is open until the end of September. There is a dance party several times a day starring Mr Incredible, Mrs Incredible and Frozone. In addition, Edna Mode, greatest super suit designer, is meeting guests for the first time. Plus if you want to play detective you can follow clues to find Jack-Jack. Star Wars: Galaxy Edge perhaps is the most eagerly anticipated new area in Walt Disney World history. Unfortunately, it will not be opening until the end of 2019, but you can experience the attractions sooner in California if you can not wait! Star Wars: Galaxy Edge is described as being an interactive and immersive experience like stepping into another planet. There will be 2 big new attractions Millennium Falcon: Smugglers Run and Star Wars: Rise of the Resistance. 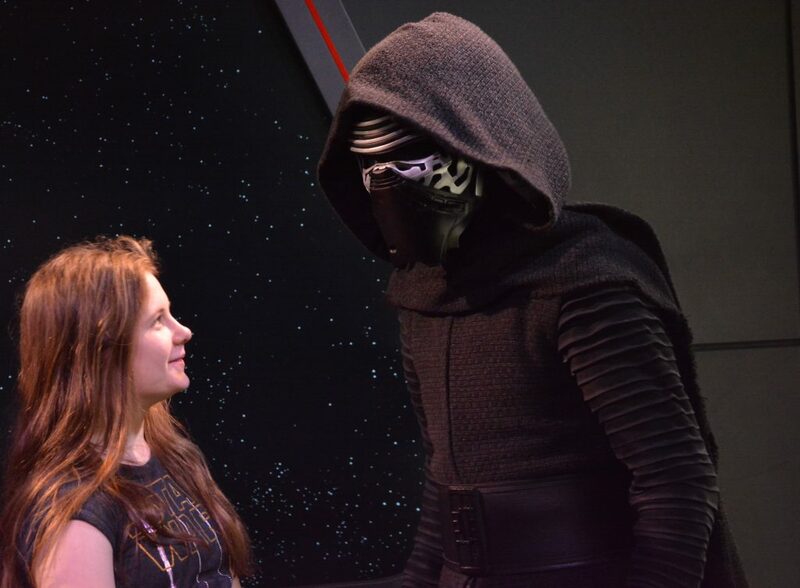 Visit our guide to find out more about Star Wars: Galaxy Edge. 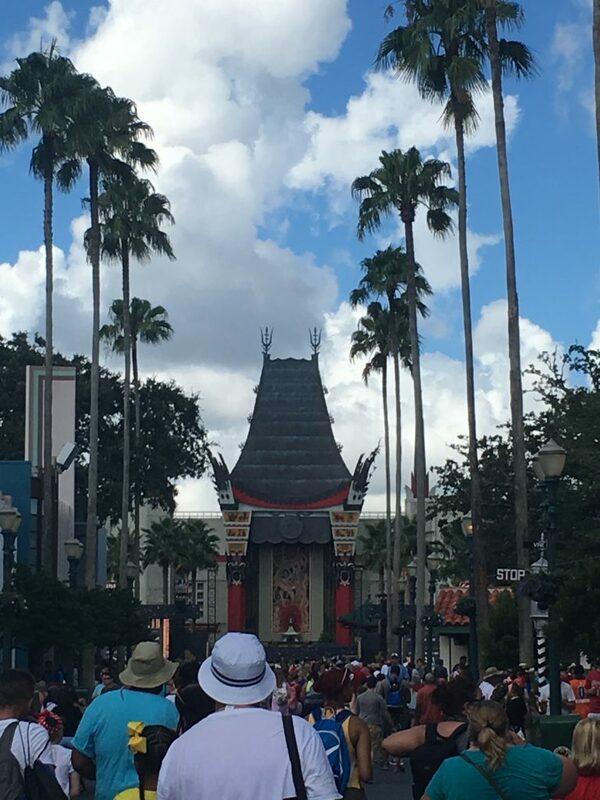 To experience Hollywood Studios, you should spend time planning your experience. 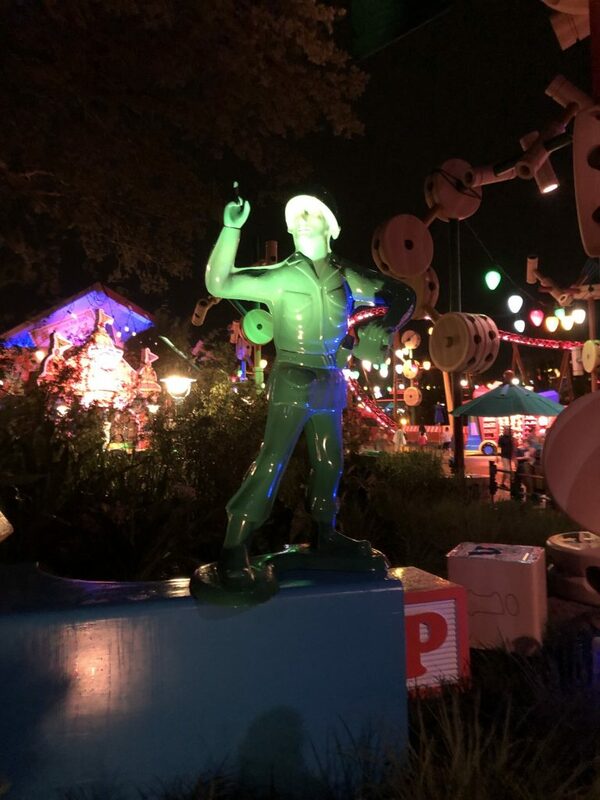 While in recent years the park has become a 1-day affair with the opening of Toy Story Land you will need in our opinion 1.5 days to fully enjoy Hollywood Studios especially if you have not visited before. If you have less time available, you should consider what your must-do attractions are. Expect long waits for all the new attractions at Hollywood Studios. There are key booking windows to secure dining reservations and make ride reservations at Hollywood Studios. 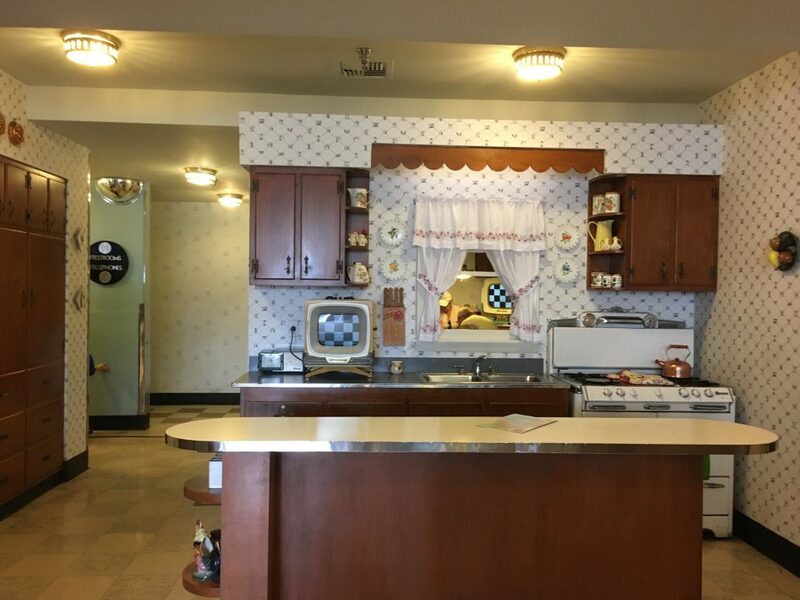 In this section, we will guide you through all the Essential Hollywood Studios knowledge you need to enjoy your vacation. The 3 Toy Story Land attractions: Slinky Dog Dash Coaster, Alien Swirling Saucers & Toy Story Mania are in Tier 1. All other Hollywood Studios attractions are in Tier 2. Guests are allowed to advance book one option from Tier 1 and two options from Tier 2 each day they visit. You can book 3 selections from Tier 2 if you book no Tier 1 attractions. To make sure you ride all your favorites you need to develop a strategy. Once you have used your first 3 Fastpass selections you can continue booking 1 more Fastpass at a time until no more are available. We have created a Hollywood Studios Fastpass Strategy which will help with your planning. 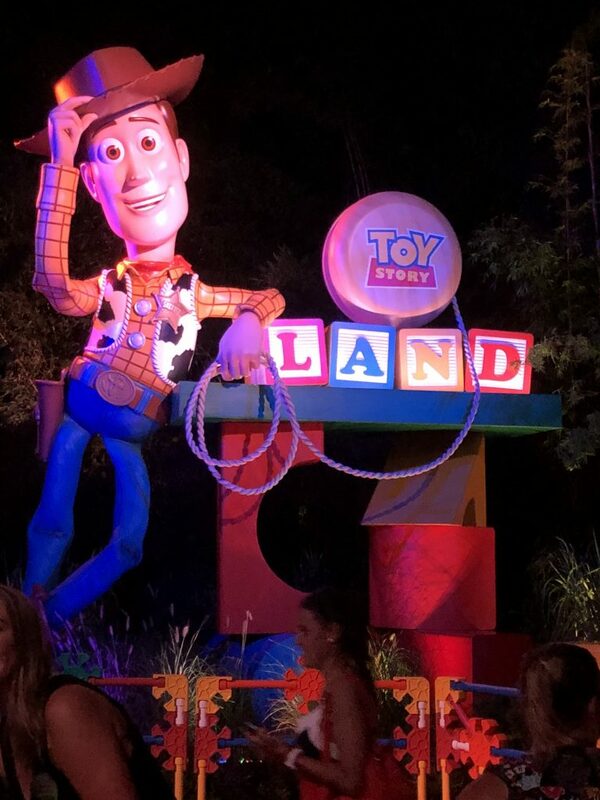 Our guide has tips & tricks to make sure you don’t miss the new attractions at Toy Story Land. 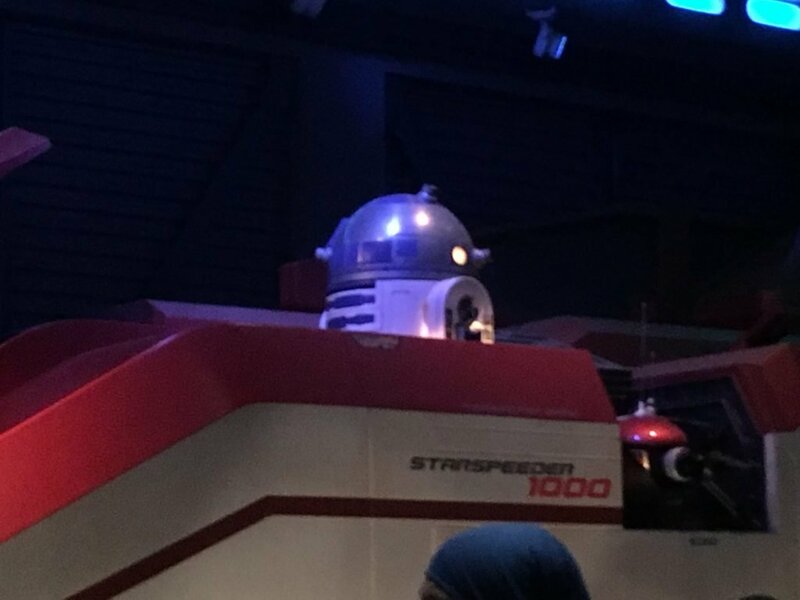 In addition, both Star Tours and Tower of Terror and not recommended for infants under 3 years but in our opinion only the bravest under 5s should ride. However, if the kids are too small to ride it does not mean adults and older siblings can’t. Rider Switch, also sometimes known as child swap, allows guests with small children to take turns riding while another adult stays with the child. Our Guide to Rider Switch & Height Restrictions has all the information you need to know. Struggling to get a Fastpass for all your top attractions? Rock N Roller Coaster does attract long waits. 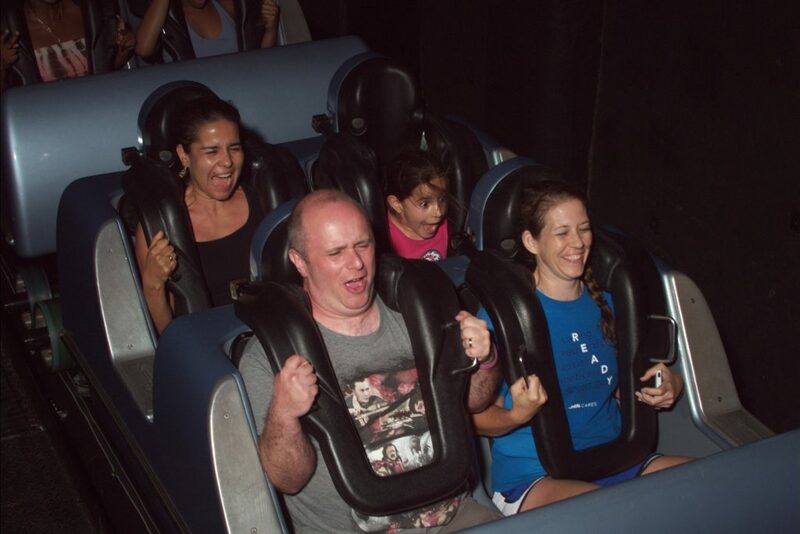 However; it is one of the few rides in Disney World that has a single rider option. Take advantage of it for reduced waits. Hollywood Studios provides extensive facilities for all forms of disabilities including visual, auditory, mobility & cognitive disabilities. You are able to contact Walt Disney World at (407) 560-2547 or [email protected] prior to your visit to discuss your requirements. Guests of Walt Disney World Resort Hotels & select non-Disney owned resorts can enjoy extra time in Hollywood Studios several days each week. Extra Magic Hours occur either before parks open or after they close to regular guests. Sounds too good to be true? Remember there are 30000 hotel rooms in WDW so that is a lot of people who can attend. Extra Magic Hours are often the busiest park days and we usually recommend you consider avoiding especially if you are staying offsite. However, this might be difficult over the next few years as Disney often has Extra Magic Hours daily after the opening of new attractions. My Disney Experience is a free online guide to Walt Disney World that allows guests to plan their vacation. My Disney Experience launched in 2012 and is available through either the Walt Disney World Website or the dedicated Mobile App. Having access to the App is essential when you visit any of the Walt Disney World parks. Filled with handy features the My Disney Experience App lets you view and update your plans, make dining reservations, search maps of all 4 theme parks, get real-time attraction wait times and more. Plus with free WiFi now available throughout Walt Disney World you can reach this information anywhere. 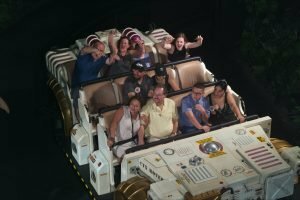 What about crowds at Hollywood Studios? Want to avoid crowds on your vacation? Hollywood Studios is usually busy! On occasions, it is very, very busy!!! Following the opening of Star Wars Land this might become the busiest Theme Park in the World. Many attractions already attract long waits and the park has already become busier since the opening of Toy Story Land. We have created a Guide to Avoiding Crowds at Walt Disney World which will help you beat the crowds. 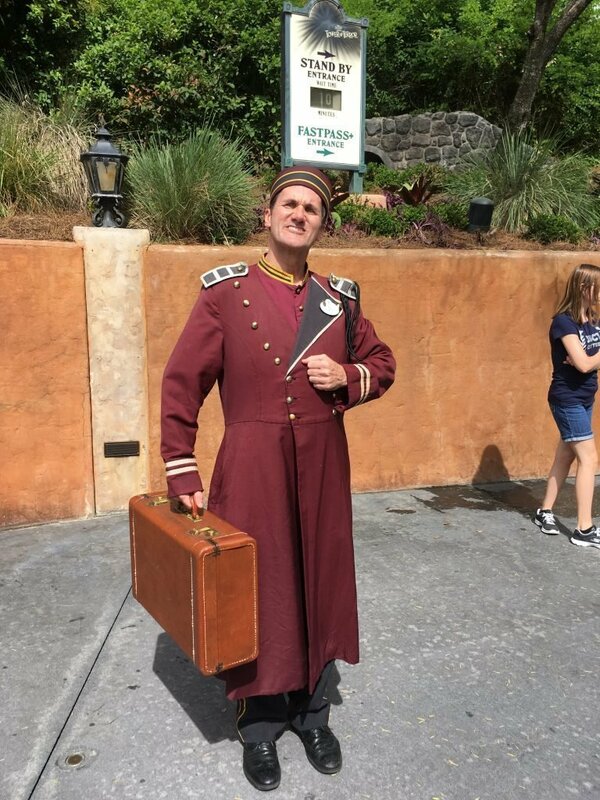 The Park Guide or My Disney Experience App will have all the information on where to meet your favorite character. Perhaps one of the best character experiences is Mickey and Minnie Starring in Red Carpet Dreams. This experience can be found on Commissary Lane. The highlight for many guest is the opportunity to meet Mickey dressed as the Sorcerer’s Apprentice from Fantasia. Finally, try to find the mysterious Character Palooza to meet some rare characters. Do you need a wheelchair, stroller, locker, ECV or even an umbrella? Many articles are available to hire inside Hollywood Studios. Look at the park map, the Disney Experience App or speak to Guest Relations for further information. Hollywood Studios has two Guest Relations locations. The first is to your left as you enter the park and the second is before you enter the park at the windows just past the small gift shop. The Baby Care Center at Hollywood Studios is located inside Guest Relations. It is a smaller baby Center in comparison to other parks. The Baby Care Center at Hollywood Studios provides a convenient place to feed, change and nurse little ones & is complimentary to use. The center is fully staffed, well maintained and has a good choice of equipment. There is no shop inside the Baby Center but items are available to buy at Movieland. 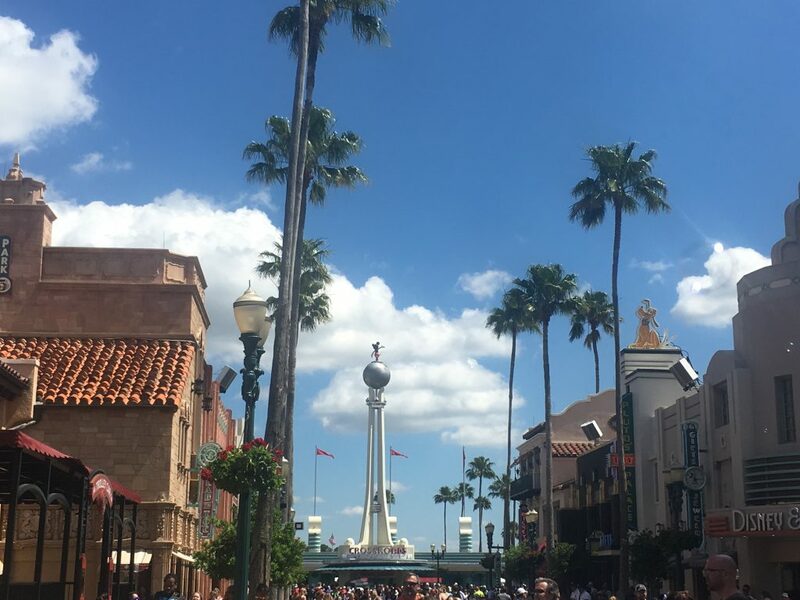 Smoking including electronic cigarettes is banned in most areas of Hollywood Studios. The park has small designated smoking areas which can be located on the park map. Kiosks are located throughout Hollywood Studios selling FuelRod portable chargers. Currently, these kits cost $30. Kits include adaptors for all Apple and most Android devices. Once your charger needs replacing you merely swap it at a kiosk for a new FuelRod at no additional cost. Park hours usually get released about 6 months in advance. However, they often change as you come closer to the actual date. Expect there to be frequenet changes to park hours at Hollywood Studios in 2019 as new attractions open. Click the link to get all the latest Walt Disney World Park Hours. Walt Disney World is constantly changing and it almost inevitable there will be some refurbishments & closures whenever you visit. This handy guide contains all the current renovations and closures at Hollywood Studios. In addition to cash, Hollywood Studios is happy to accept most credit cards. Cards are accepted almost everywhere including the smallest mobile counters. Guests with Magic Bands & staying in a Disney Resort can setup room charging for purchases inside the park. ATMs are located at Hollywood Studios and can be located on the park map and the My Disney Experience App. 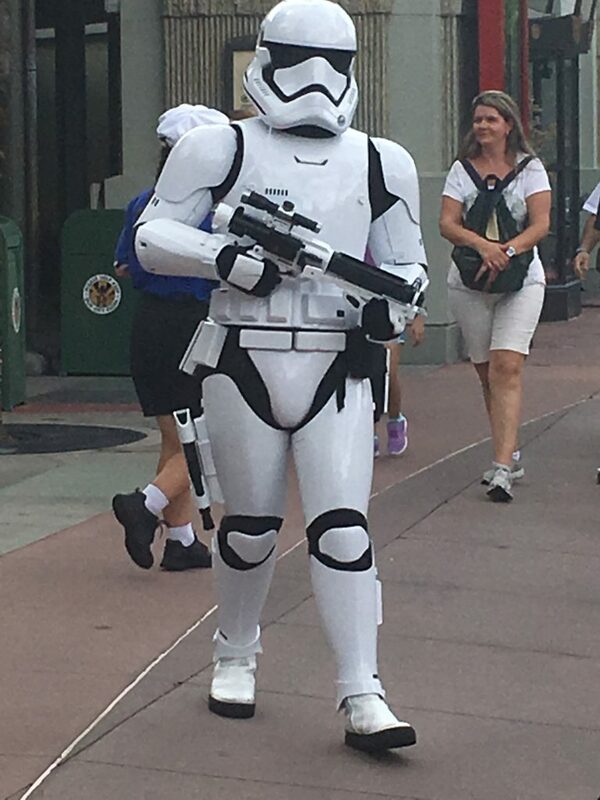 Anybody who has ever visited Hollywood Studios will have a list of Tips & Mistakes not to make at a future visit. Here is a selection of ours which we have updated for 2019 and learnt from previous visits. 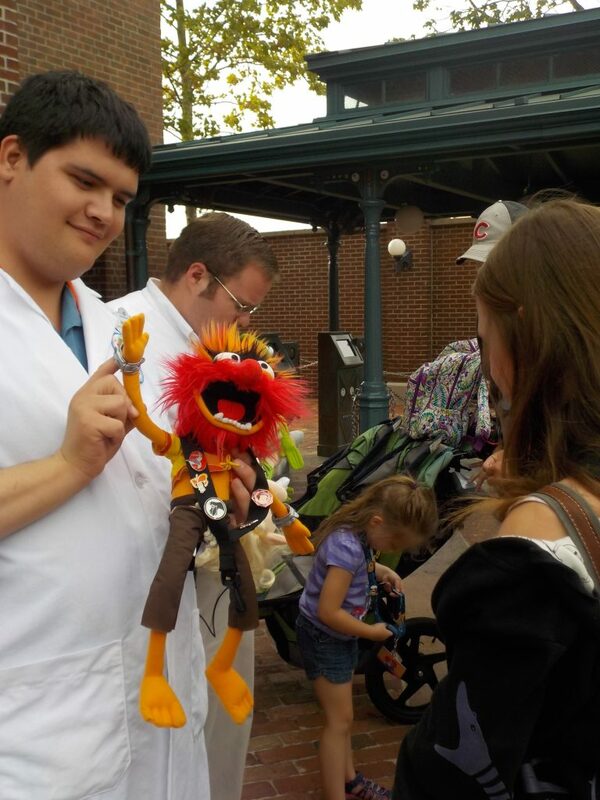 Learning from other guest’s experiences is a great way to create your Ultimate Hollywood Studios Plan. Hollywood Studios is currently undergoing massive change and as soon as we update this guide the information is soon out of date. Make sure you check the My Disney Experience App for the most up to date list of attractions. Lands have moved a lot in recent times and perhaps will again at future date. Currently, there are 6 lands/areas in Hollywood Studios with a 7th Star Wars: Galaxy’s Edge due to open in 2019. The list of attractions in this guide was last updated in February 2019. Hollywood Boulevard is the opening land of the park containing multiple shops and guest services. This is the Main Street USA of Hollywood Studios. Near the park’s gate is a recreation of the Crossroads of the World tower which when built in 1936 was considered the first shopping mall in the United States. At the far end of Hollywood Boulevard is a replica of Grauman’s Chinese Theatre which previously held the Great Movie Ride. The Great Movie Ride closed in 2017 and will be replaced by Mickey & Minnie’s Runaway Railway in Fall 2019. The area is based on Echo Lake in Los Angeles & includes several attractions. Indiana Jones Epic Stunt Spectacular! is now the oldest attraction in the park but still draws in the crowds. Some of the stunts are very impressive and taken straight from the movies. Jedi Training: Trials of The Temple is an audience participation Jedi Knight adventure. In this attraction, Jedi Knights have assembled Force-sensitive children from throughout the galaxy to test their abilities. You must be between 4&12 to take part. Find out more here. 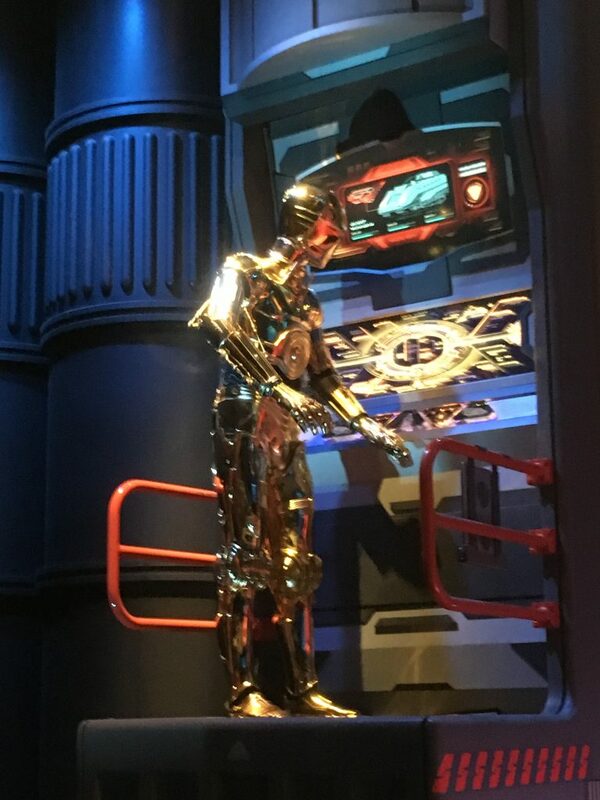 Star Tours – The Adventure Continues is a classic Star Wars attraction which was updated in 2011 & is now an impressive 3D simulator. The movie clips you are shown are randomly selected & updated regularly to reflect the ever-changing Star Wars Universe. Most rides currently end giving you a preview to Star Wars: Galaxy’s Edge. Star Wars: Path of the Jedi is a short film featuring classic clips from all the Star Wars films. This film is really good and should not be missed by any Star Wars fans. It actually served as a good introduction to Star Wars for one of my kids. For The First Time in Forever: A Frozen Sing-Along Celebration …the title says it all! 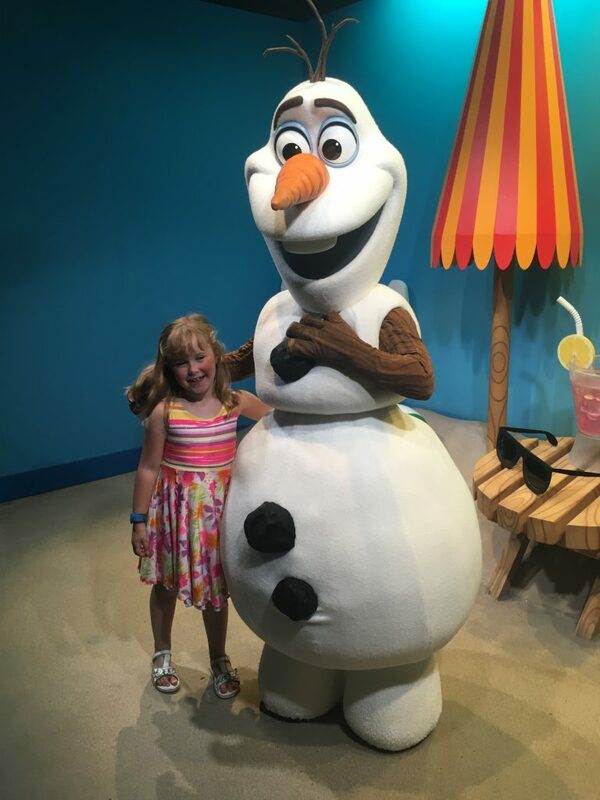 Great fun for Frozen fans but if you aren’t it is a little tacky. Grand Avenue is a new area of the park which opened in 2017. It is named after the real area in Los Angeles. 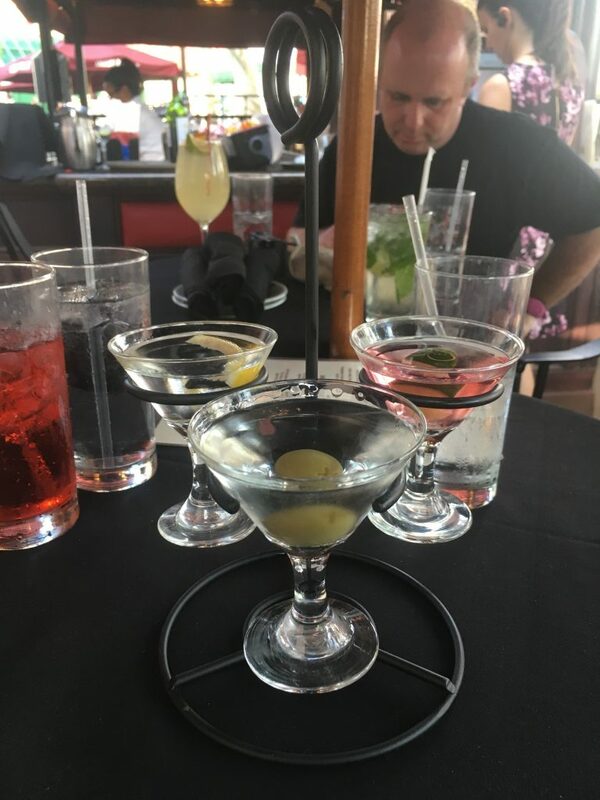 There are several areas to eat & drink in Grand Avenue including Modern Life is Good favorite Mama Melrose’s Ristorante Italiano & the new, and already seasonal, PizzeRizzo. 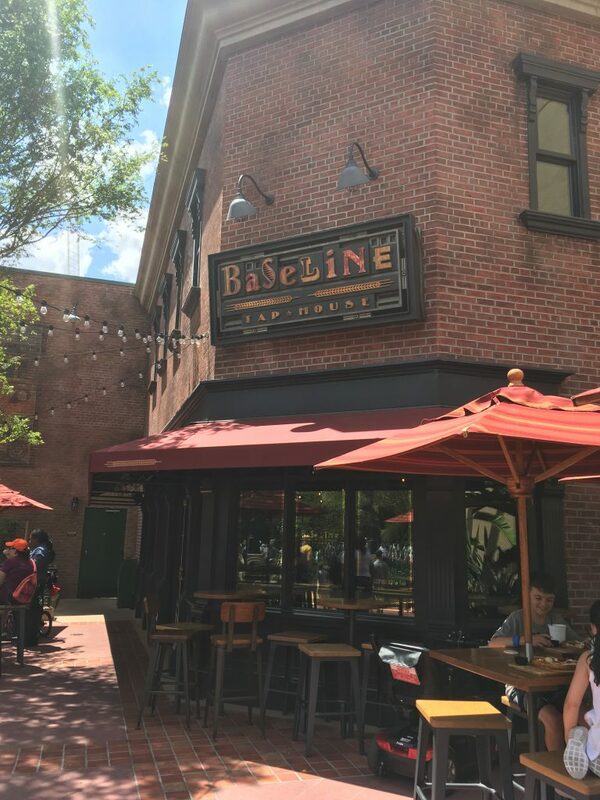 The BaseLine Tap House is a new pub which serves California brews and wine accompanied by small plates of food. Muppet*Vision 3D is the only attraction inside the Grand Avenue area. This 3D movie starring the Muppets was the very last Muppet project by Jim Henson. 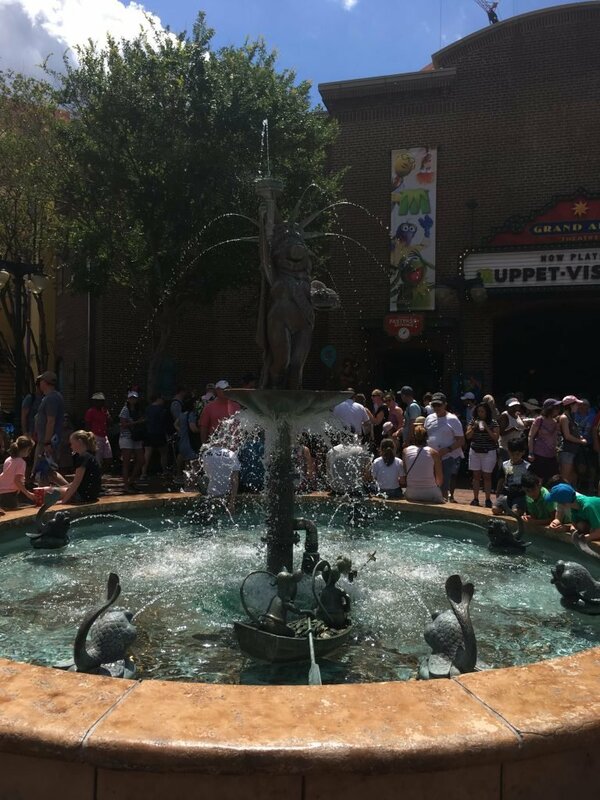 I love the Muppets and therefore love this attraction. However, if time is tight other guests might want to consider skipping. 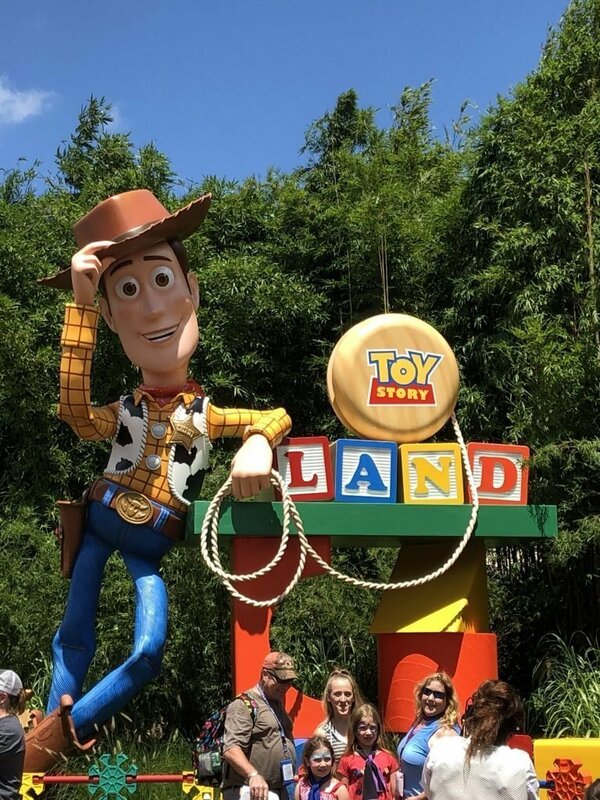 Toy Story Land is the newest area in Hollywood Studios and currently one of Orlando’s hottest attractions. Our Tour of Toy Story Land has further information on what you can expect in this new area. In our opinion, the land looks better at night & you should try and visit after dark. Toy Story Mania! moved into Toy Story Land from the former Pixar Place and has a new entrance. The ride remains one of Hollywood Studios’ most popular attractions. This 4D attraction allows guest to take part in a selection of classic Midway Games. Slinky Dog Dash is a family-friendly coaster themed around Disney Pete’s favorite Slinky Dog. 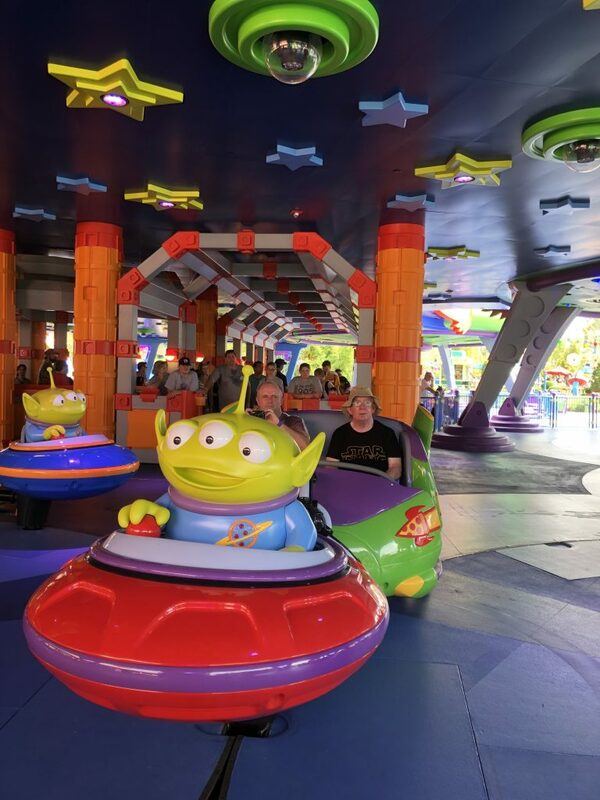 Riders of all ages zip around Toy Story Land on this fun coaster. This attraction currently attracts very long waits and Fastpass is recommended. 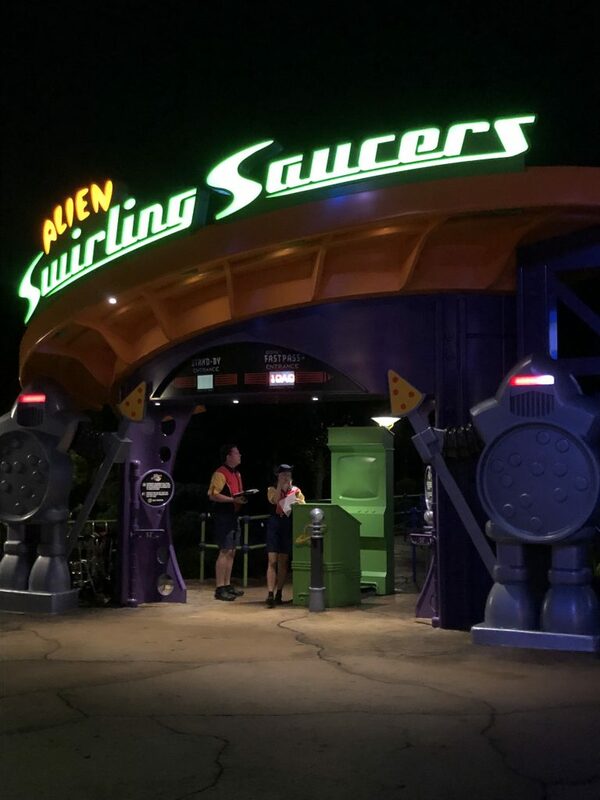 Alien Swirling Saucers is a new whip ride. Mater’s Junkyard Jamboree in California Adventure is in a similar format. Guests are immersed with Toy Story Aliens, their Flying Saucers & some rather annoying tunes. Be warned the ride is not very long! Sunset Boulevard was the first expansion area at Hollywood Studios opening in 1994. 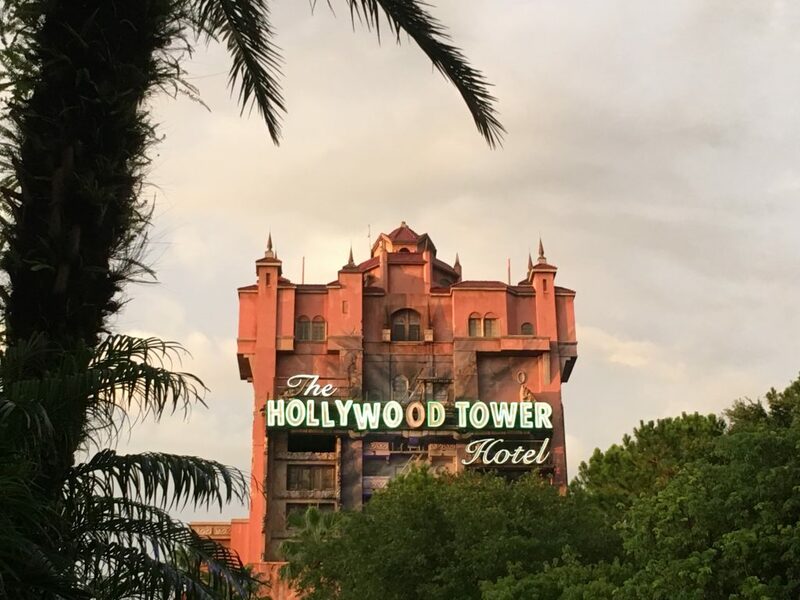 The Twilight Zone Tower of Terror is a classic Walt Disney World thrill attraction. The tower is the focal point of this region of the park. Guests free-fall drops at speeds of up to 39 mph. The ride is inspired by the television classic The Twilight Zone. Rock ‘N’ Roller Coaster Starring Aerosmith is a very fast dark indoor looping coaster. 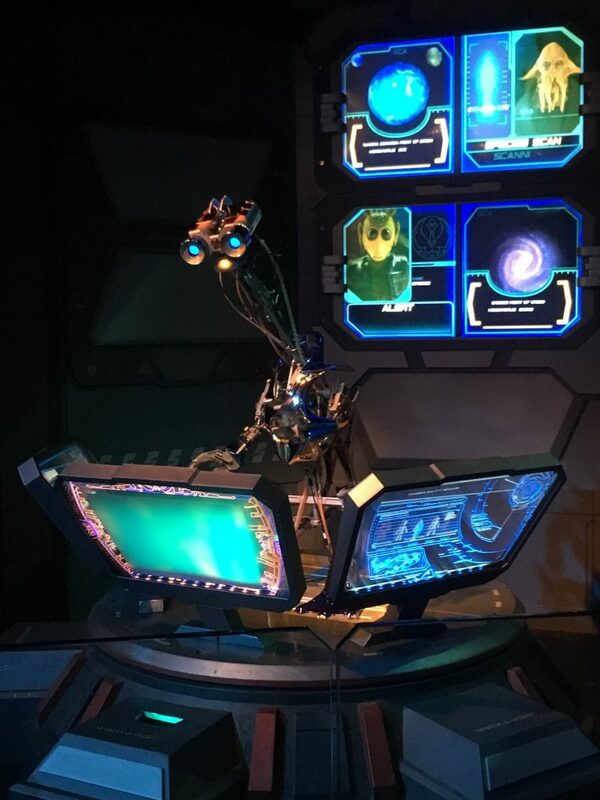 The attraction attracts long lines and guests without a Fastpass should consider using the single rider line. Beauty & The Beast – Live on Stage is a Broadway-style show based on the popular Disney Classic. It is heavily rumoured this show might close in the future due to the opening of a new Beauty and The Beast show in Epcot. Lightning McQueen’s Racing Academy is scheduled to open 3/31. Guests will get face to face with Lightning McQueen & learn from his years of experience on the track. Animation Courtyard is home to attractions based on Disney Animation. 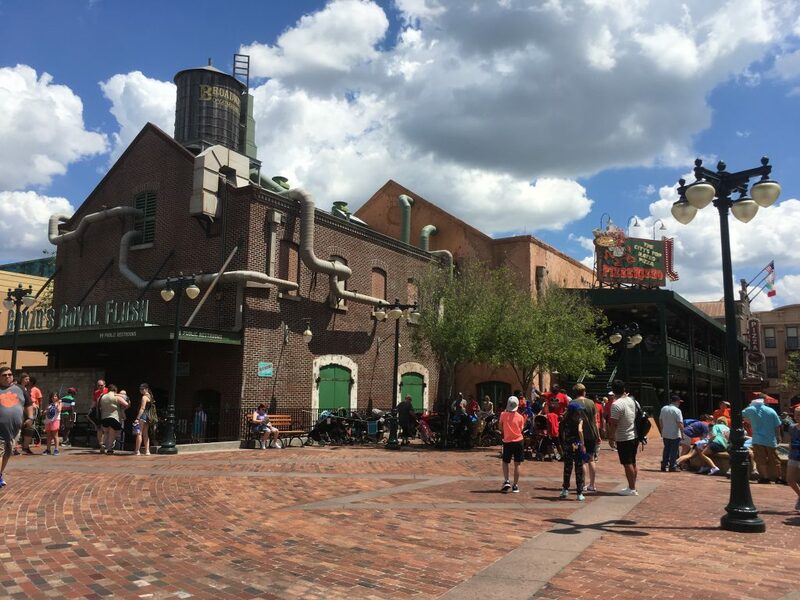 The area has been under a considerable change in recent years including the closure of both the Studio Backlot Tour & The Magic of Disney Animation. This results in the animation theme being lost at the moment. I expect this area to have a further refresh once current confirmed expansions are complete. 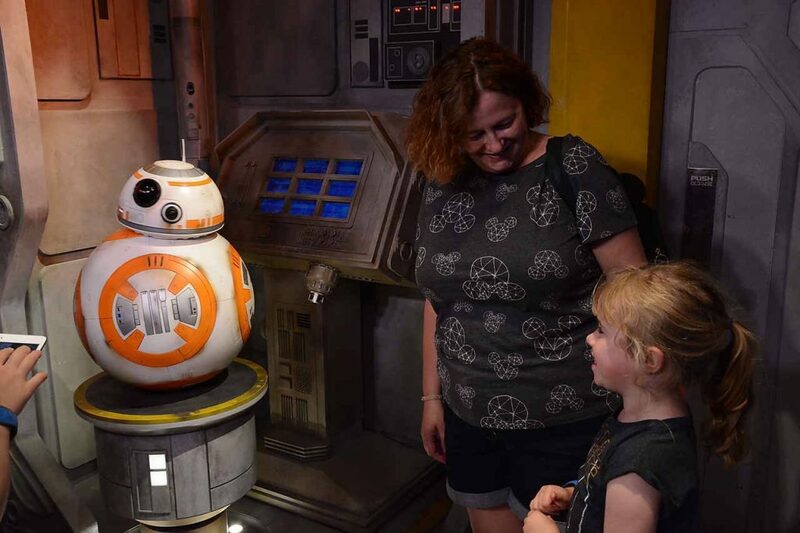 Star Wars Launch Bay is a walkthrough exhibit, and various character meets. If you are a fan of Star Wars, the exhibition will be of great interest but if you are not there is little to see here. There have been no announcements of what will happen to this area once Star Wars: Galaxy Edge opens, but I expect the Launch Bay will close late 2019. Disney Junior Dance Party! This new attraction replaced Disney Junior Live in fall 2018. 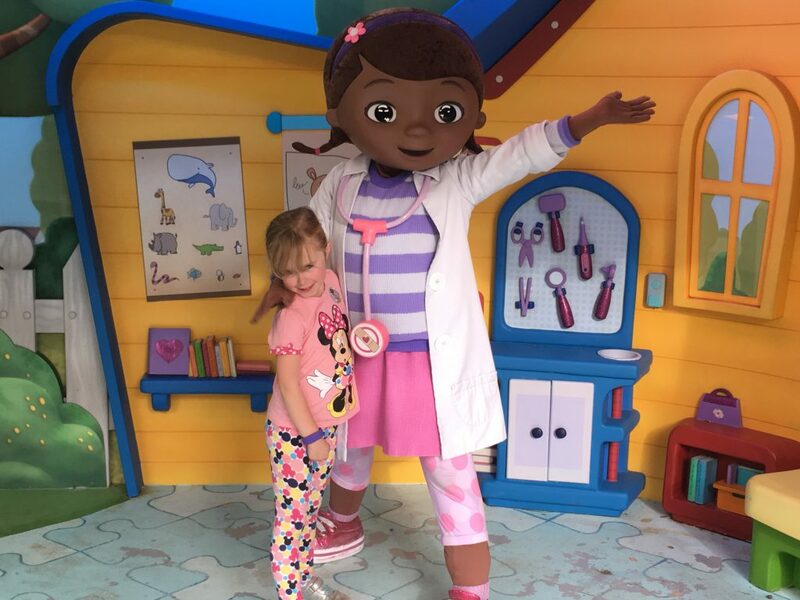 Guests join Doc McStuffins, Vampirina, Timon and Mickey for a high-energy musical celebration. Voyage of Little Mermaid is a fun musical puppet show. Walt Disney Presents is a Walt Disney life and achievements exhibition. Great place to get out of the rain and it is very interesting. Various other exhibits have been added to this area in recent times, and it does now feel a bit of a mismatch of multiple themes. Mike & Sully started meeting guests in this area in 2019. Do not leave Hollywood Studios early as it has some of the best night-time entertainment at Walt Disney World. In addition, Hollywood Studios looks stunning at night and you must visit Toy Story Land after dark. Make sure you check park schedules to see when the following events will be held. Disney Movie Magic allows you to relive your favourite moments in cinema with classic projections that feature the magic of Disney. Projected on to the Chinese Theatre, this is a stunning show but it does not adequately replace the much missed Great Movie Ride. We are assuming this will be replaced by Wonderful World of Animation in May. Star Wars: A Galactic SpectacularThe show is based on the Star Wars film series and features fireworks, projections, lasers and searchlights. The outside of the Chinese Theatre is the venue for this stunning show. Even guests who are not fans of Star Wars will be impressed by this show. FantasmicA voyage through Mickey Mouse’s imagination that culminates in a battle against the Disney Villains. Some small children might find this show a little scary. 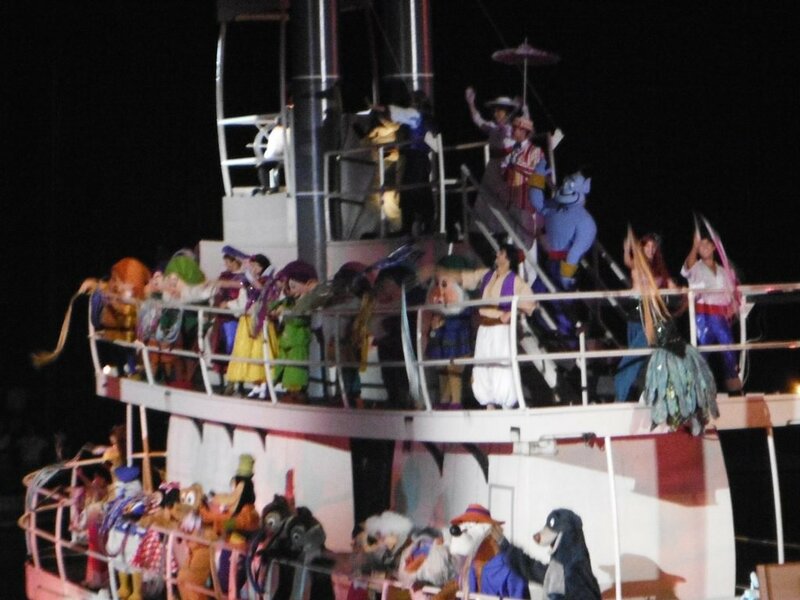 This spectacular includes fireworks, characters, water effects, lasers, music, boat floats and mist screen projections. In our opinion don’t miss it. Fantasmic Hollywood Studios. How many rare characters can you see? 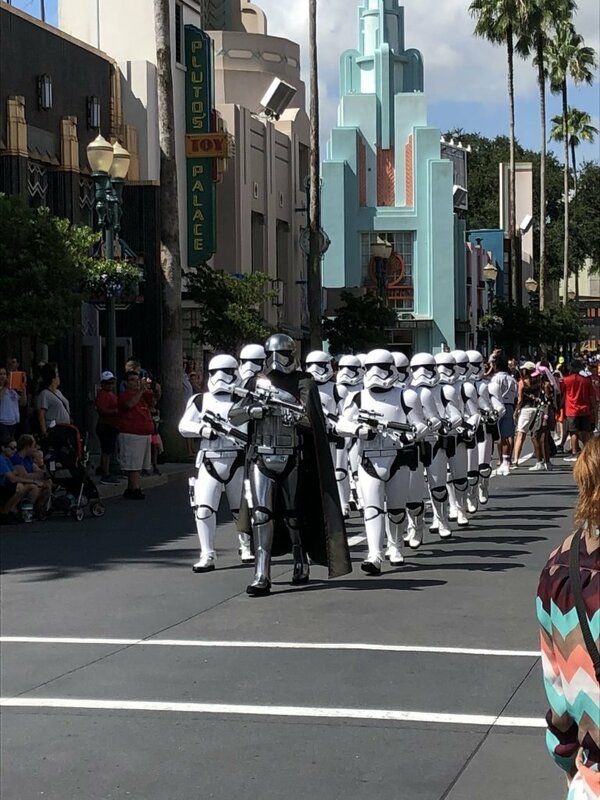 March of the First Order many of your favourite sequel trilogy baddies marching through Hollywood Boulevard. Star Wars: A Galaxy Far, Far Away characters and film footage in front of Chinese Theatre. Mama Melrose’s Italian Ristorante is a great Italian dinner which serves some really tasty food. 50’s Prime Time Café fantastic fun but don’t put elbows on the table. There are various rules you must follow as Mom cooks dinner. 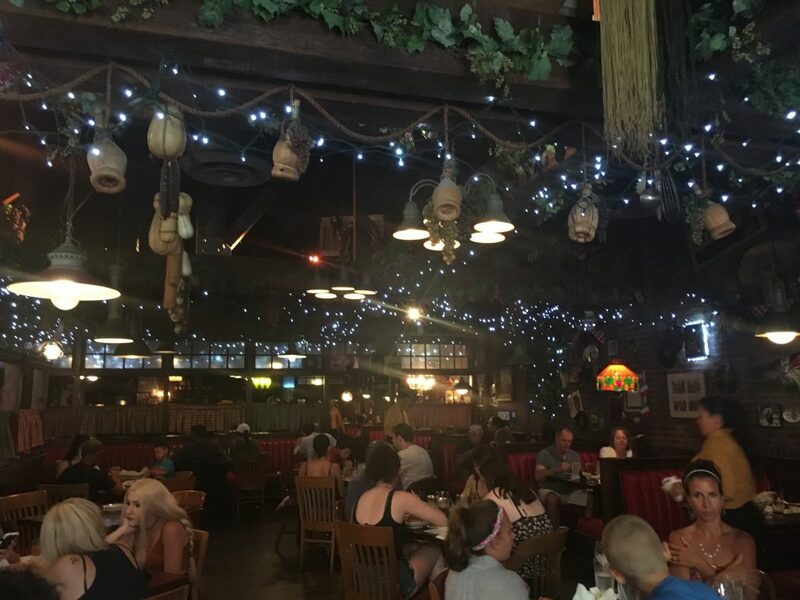 One of the most original restaurants in Walt Disney World. Hollywood and Vine is a character buffet which is open for breakfast, lunch and dinner. At breakfast, you are joined by the stars of Disney Junior including Doc McStuffins. For lunch & dinner, Minnie and her pals are your hosts for a seasonal meal. Sci-Fi Dine-In featuring a 50’s style drive-in theater. 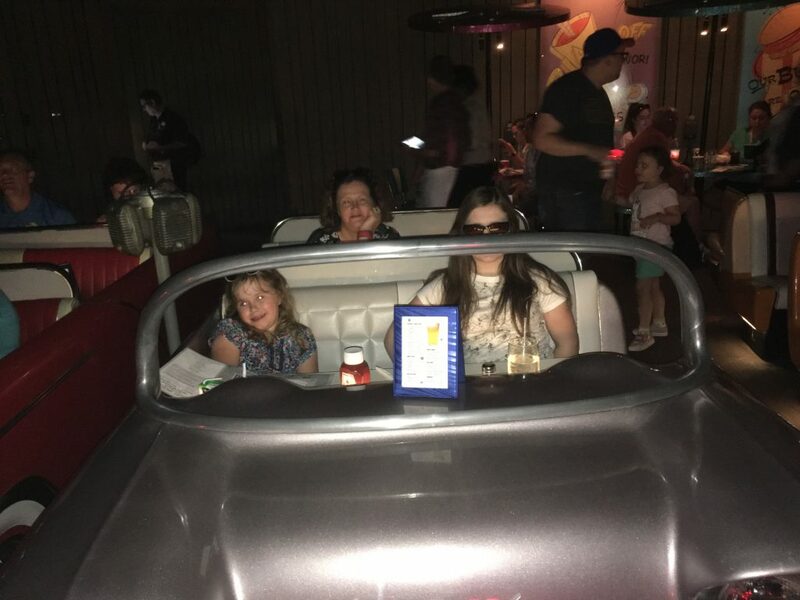 Most guests are seated in mock cars within which you dine as you watch Sci-Fi movies. The Hollywood Brown Derby is in an authentic replica of the famous Brown Derby. This is an incredibly popular signature location. There is a popular lounge bar and terrace attached which does not require advance booking. In addition, there are several excellent quick-service and snack locations. Guest visiting Toy Story Land might want to visit the new Woody’s Lunch Box which serves meals and soda floats from a walk-up window. 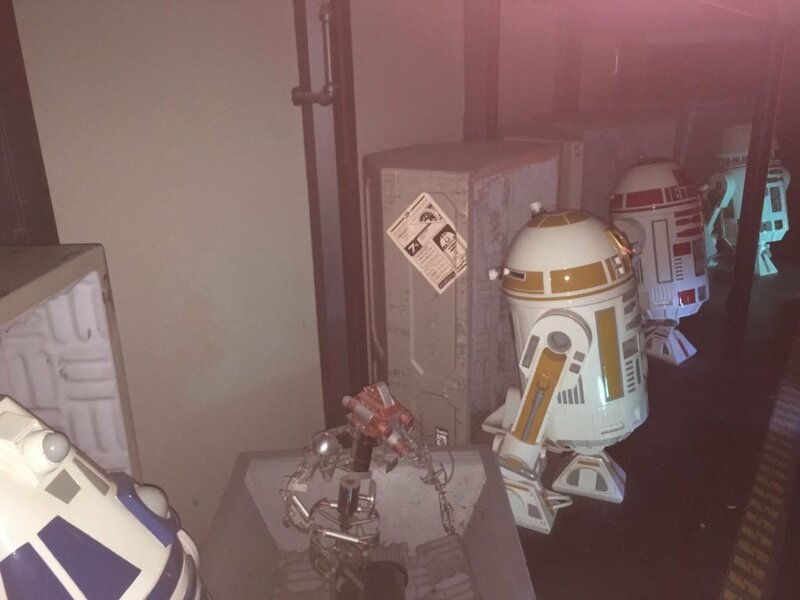 Keep your eye out for new dining options once Star Wars: Galaxy Edge opens. Disney’s Advanced Dining Reservations are restaurant reservations made in advance at the majority of Disney Table Service Restaurants. All restaurants at Hollywood Studios do fill up and standby lines, if they exist, can be long. Make sure you plan well in advance especially if you have booked the Disney Dining Plan. All restaurants at Hollywood Studios are well equipped to deal with the most common food allergies. Our Guide to Dining with Allergies & Food Intolerances has further information. A lot is happening at Hollywood Studios in 2019 but there are likely to be further changes in the following years. 2019 is the 30th birthday of the park and Hollywood Studios has plenty to celebrate. While Star Wars will inevitably get the majority of the publicity there are other great attractions coming too. Plus there will also be the usual seasonal celebrations in the park. At Modern Life is Good we try and keep you up to date with all the latest news & rumours from Walt Disney World including Hollywood Studios. 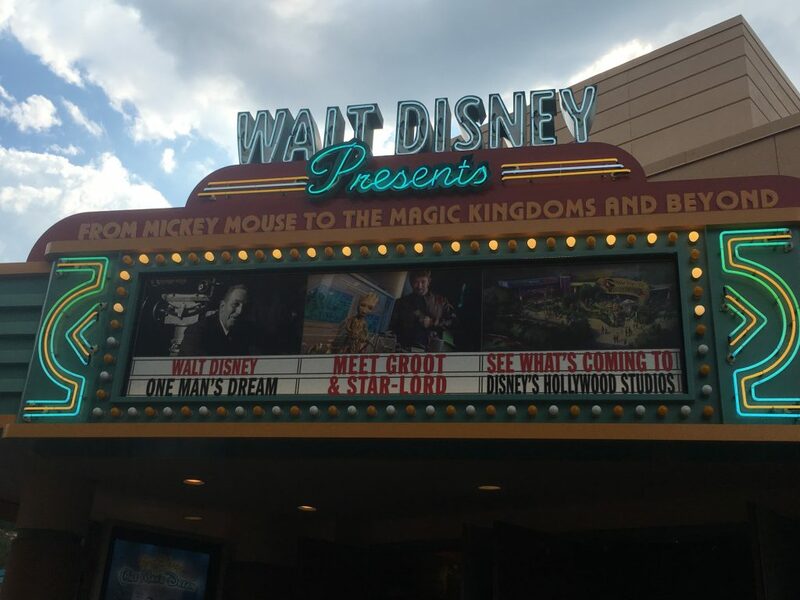 Visit our Walt Disney World News Section for all the latest information on Hollywood Studios. 2019 will almost certainly bring some unexpected surprises to the Hollywood Studios line up. Our Guide to Hollywood Studios for Beginners forms part of our Guide to Walt Disney World for Beginners. 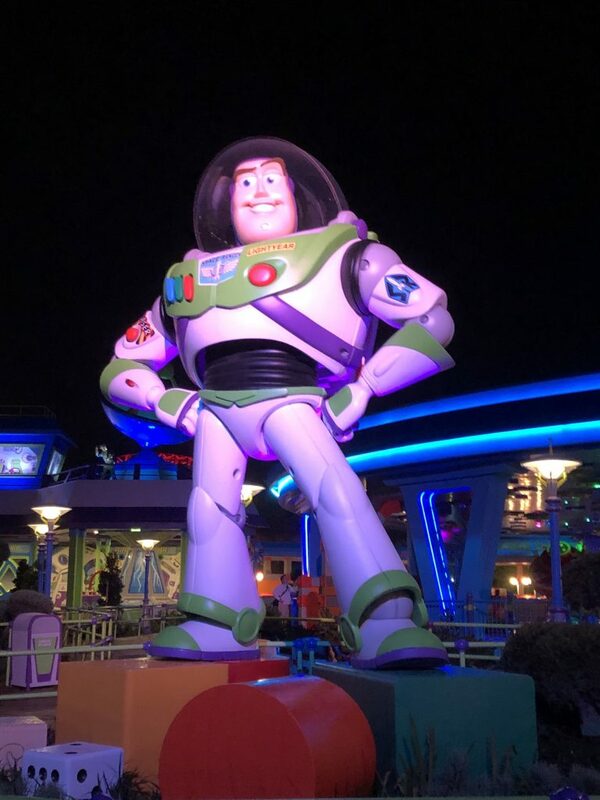 The guide is a great starting place to plan any Walt Disney World Vacation. The information will be useful for both first-time and repeat visitors to Walt Disney World.